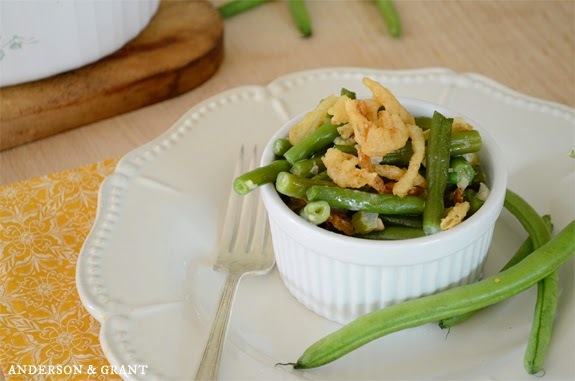 You've never tasted the best green bean casserole until you've tried this recipe with fresh, homemade ingredients. It makes an ideal side dish to accompany Sunday dinner or to serve at Thanksgiving. I love green bean casserole. As popular as it is around Thanksgiving and Easter, I like to have it year round. It is easy to throw together in one single baking dish and then cooks all on it's own. And it is such a tasty way to serve a vegetable. 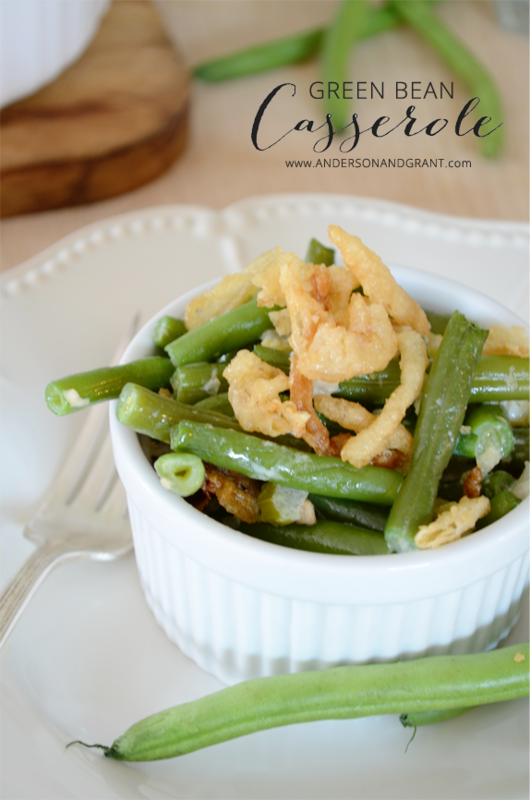 (Cooking green beans with bacon and onions is another favorite.) The French fried onions on the top are my favorite. 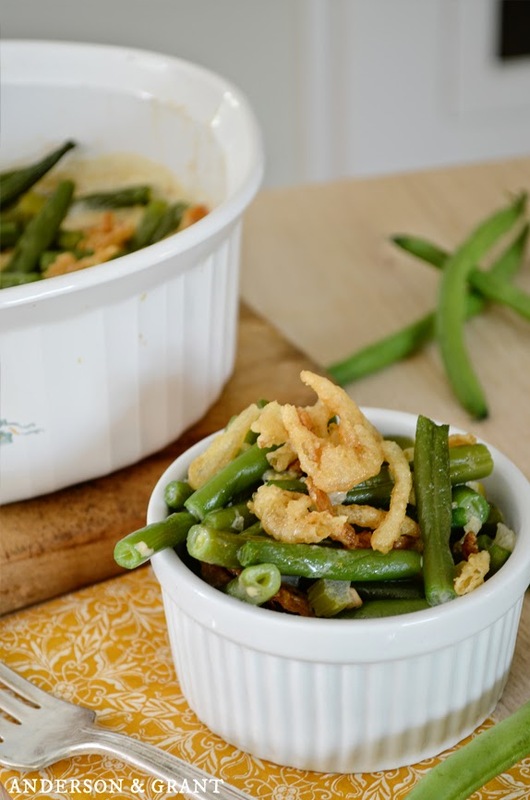 Over the years, I made a few tweaks to an already great recipe for Green Bean Casserole. A few special ingredients add so much flavor to this traditional side. At the end of the meal, there shouldn't be a single bean left in the dish! 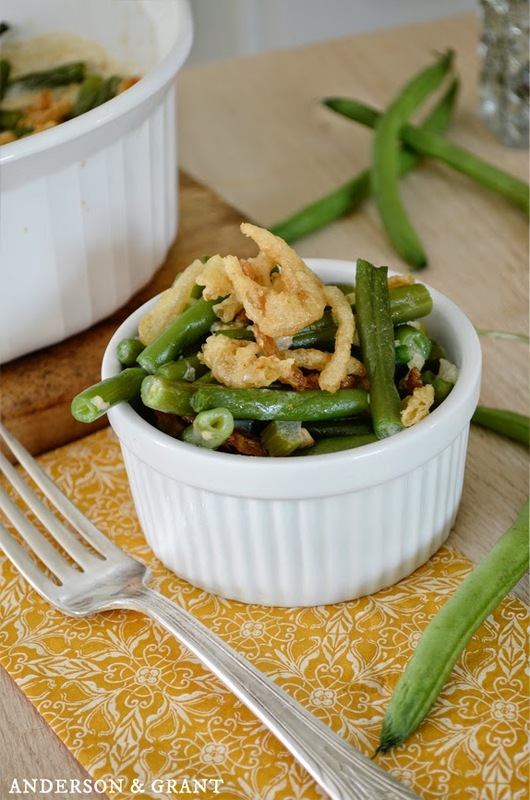 One secret to my most amazing green bean casserole is the use of fresh green beans. Yes, frozen are good and easy and I use them when fresh is unavailable. But once you've had this side dish made with fresh beans, there is no going back. And this is the perfect time of year for purchasing some fresh from your local farmers and produce stands. Homemade cream of celery soup adds additional flavor to this side dish. It is worth the added work when it comes to the taste. But like the beans, if you don't have the ingredients or time to make the homemade soup, canned works, too. My final secret ingredient is a small dash of celery salt. It adds just the right amount of unexpected punch to the already delicious vegetable! 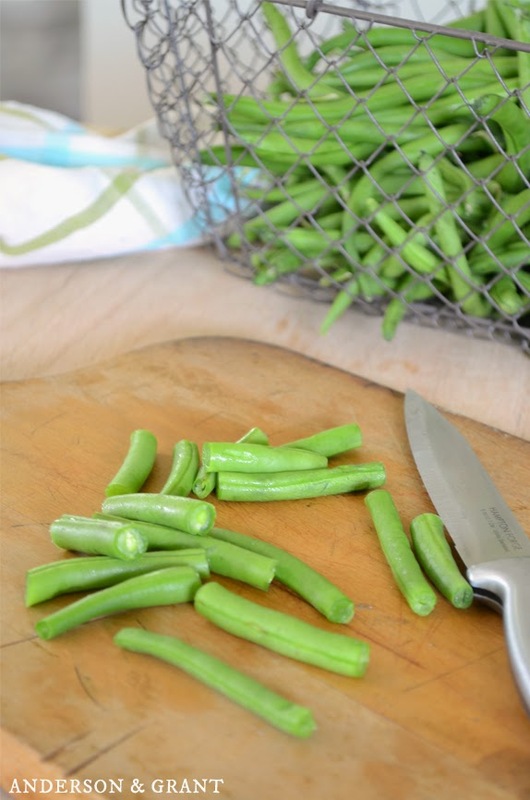 Place green beans in a medium saucepan with water and bring them to a boil. Cook for about 10 minutes until the beans are tender and then drain. In a 1 1/2 quart baking dish, add the beans, soup, milk, celery salt, pepper, and 2/3 cup French fried onions. Bake in an oven that has been preheated to 350 degrees for 30 minutes. Take the dish out of the oven and stir the casserole. Top it with the remaining 2/3 cup of onions. Bake for an additional 5 minutes until the onions are golden brown. *Sometimes a whole casserole can be too much for one or two people. This recipe easily divides in half to make a smaller amount. The other half of your cream soup can be labeled and put into the freezer for another time. That way, you can enjoy the delicious side dish, without worrying about half a dish of leftovers!